If you would like to contact me, please use this direct email address to ensure that your communication gets to me! You can also find me on Facebook and message me there. If you have a question or issue with an order, please email me right away so I can fix the issue! I want to make sure that all our items are shipped quickly and correctly! We typically need about 1 week to process your orders. Some are shipped out immediately while others are printed to order. If you need your item in a hurry or by a specific date, just email me and let me know! I can usually work with you to ensure prompt delivery! If you ordered PDF downloads, you will get a link IMMEDIATELY on the confirmation screen of your order. You should also receive an email IMMEDIATELY after purchase with a link and directions to your download! If not, please let me know! Can I just buy your maps for cycle 2? Do you mean the maps that go along with the student planners? I don’t have those separately, but you can find maps like that online. Those are great to use for practice of continent shapes, but you’ll want to make sure to use the CC approved maps from the Foundations Guide or Geography Trivium Tables to really practice the places we memorize as part of our Foundations class. HELP!!! I bought some downloads and can’t find them. I had not yet downloaded them off your site. What do I do? Hi! All you have to do is go to http://www.contentshelf.com/users and log in with your email address and password you set up when you ordered! I am interested in the Challenge A planner – is there a way I can preview it before purchasing? Hi! When are the 2017-2018 planners coming out? I would like to buy a ChA and ChI. Thank you! They are here! Check out http://www.homeschoolstory.com/student-planners/planners-for-cc-families for info! We appreciated our Challenge A planner last and went back to the site to order a challenge B. There aren’t strand headings on it. I really dont want to have to write those in. Is that part editable where I can add the strands before printing? Hi Erika! So sorry about the late reply! We’ve been overhauling the back end of my site and I haven’t had access to the admin site to reply! YES you can just type in the subjects ONCE and they will auto-generate throughout the planner!! You can also customize other parts of the planner too!! How do I find your blog? Computers are a bit of a challenge for me…taking baby steps. Thank you for your help. 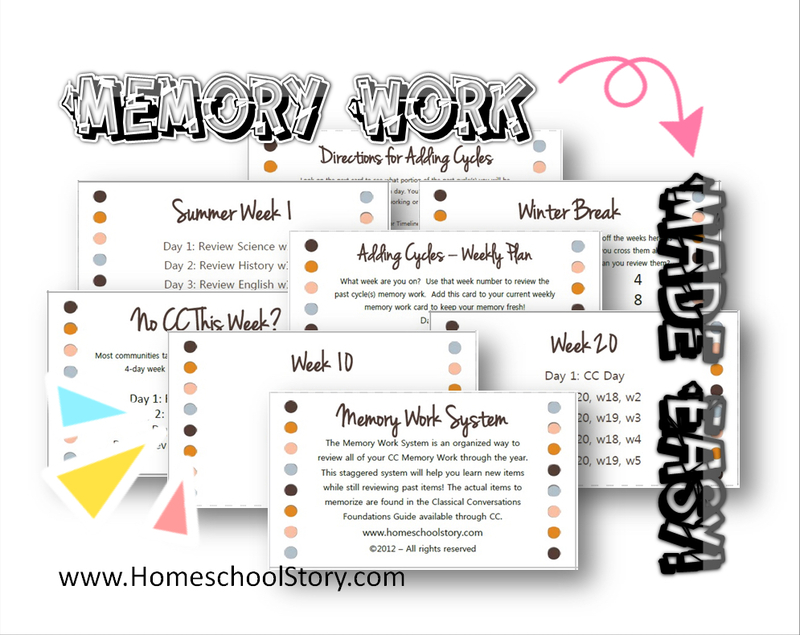 My blog is at http://www.homeschoolstory.com – we’ve had some major back-end overhauls this summer so unfortunately my blog has been down at times and I’ve not been able to access my admin site (which is why so many of these replies are so slow in getting to you!) We are almost done with the maintenance though! Hi, are the 2017-2018 Challenge A planners updated with scince fair sheets. Also, how much can really be edited? Do I have to have a special program to edit? I want to customize with weekly bible versus. Hi Christine! Great questions. The fun “helps” like science fair sheets and more are now FREE at http://www.homeschoolstory.com/freebies! You can find what you want to include in your child’s planner or to just print out at home. You do need Adobe Reader DC to view and edit your planners but it is a FREE download from Adobe. You can add text almost EVERYWHERE! The subject, the boxes (on each line) under each subject, the dates/days, the squares (days) on the monthly calendars (put in your cc weeks, birthdays, events, etc) and more! Help! I purchased the wrong planner! I meant to purchase the Challenge planners you have for sale, but instead I purchased a Foundations one. I saw it listed next to the Challenge cover pages and just thought it was for Challenge. Now that I have downloaded it I see it is for Foundations. I am so sorry! What is your policy on this? Can I exchange? Not sure how to exchange a downloaded version. I need a Tuesday Challenge day. I don’t have any foundations kids or I would just buy another one. Again, I apologize for not reading the description thoroughly. Hey Becky, I believe we’ve already talked via email, but just in case someone else had this question….just email me at jaimegravitt@homeschoolstory.com and I’m happy to resend what you need! Hi , on your website I see Planner A is available, it contains as stated on your website ” Level A Planner comes with Latin charts, geography maps, science paper outlines, chapter summaries and note-taking worksheets and more!” It looks amazing!! Unfortunately I do not see this in your store. How do I get this and the fully loaded foundations / grammar stage planner. I have already purchased one that was not what I wanted. I’d like to get the correct one this time. Thank you for taking time to answer . Hello, I purchased the Challenge B planner and made a few entries without difficulty. I then tried copying and pasting entries that repeat in his schedule. That is the main reason I purchased this so I could copy and paste, it does let me copy but it won’t let me paste. How do I paste? Hi Anne, Were you able to get it working?? You should be able to copy and paste just fine! If you still have trouble, please let me know! Thank you for your wonderful planners!! I’ve recently created Challenge A and Challenge 1 planners for my girls using your fabulous ideas and pages. I’m just getting ready to create one for myself. I loved your video that showed how you created a Challenge planner for your child. Can you guide me in creating a wonderful parent planner? How do you use the Annual School Year Planner page? How do you use the fun dot page? To play the box game? : ) Any tips for me about how you might create a parent planner with kids ChA and Ch1 age? I also have a toddler – 19 months old. Thank you! This is my first year creating a planner for myself and I really want to create one I will use and love! Thanks for your help! As far as a parent planner for challenge, foundations, and a baby under foot (you sound like me!! ), I use the editable 7 subject planner and add each child’s name in each row. Days of the week across the top. I have a Challenge 3, Challenge A, Foundations, and a toddler…plus a blog/business, and CC responsibilities (I’m an AR) so I have rows for different things like “my to do” “blog” “CC work” then I have each school-aged child listed as well. It gives me plenty of space so that I even have the last row for menu planning! 🙂 I just keep basic lesson plans (nothing specific since they have it in their guide). Hope that helps! I’ll have to do a video on it one day!